This three-bedroom home of about 3500 sq. feet is based on our Birch Hill Lodge model http://www.postandbeam.com/plan/56. The main level center section is a spacious entry with a mud room, closets, a butler’s pantry and a half-bath. 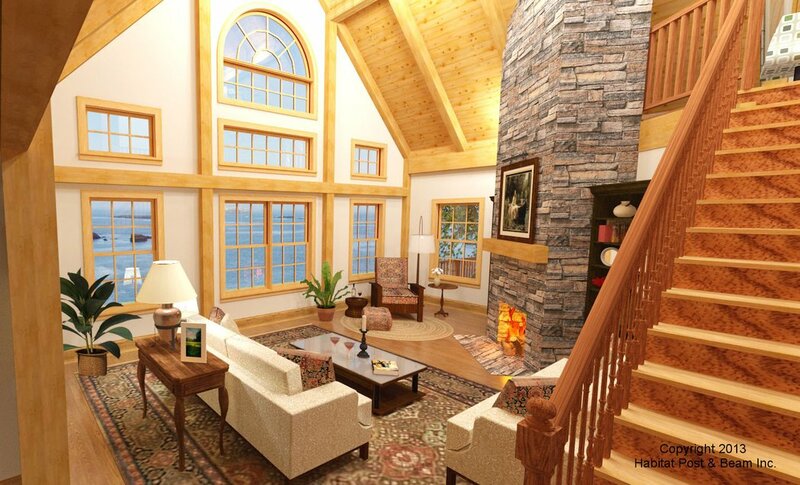 It leads into a large hallway and living area with a corner fireplace. The left side is the kitchen and dining area, and the right side is the master bedroom suite. Upstairs there is an additional bedroom suite next to a loft/library that looks down onto the living area below. 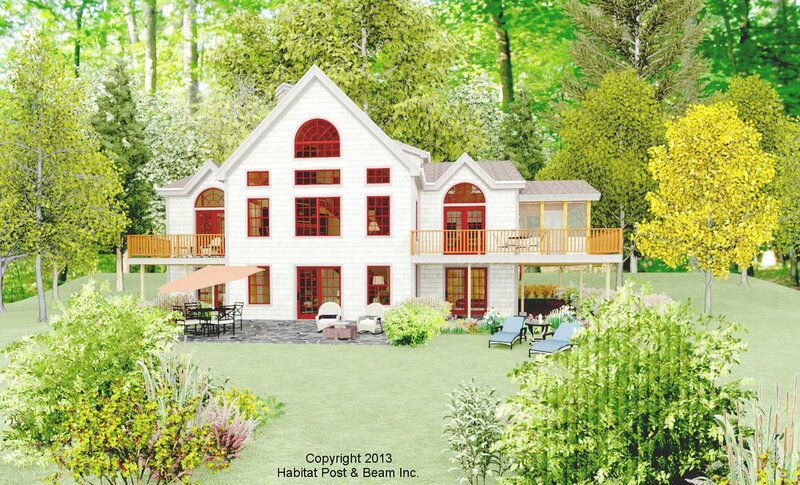 The lower/walkout level includes another bedroom, a family room, an office and utility/office space. Package Price: $213,500 as specified below (from $170,500 to $217,000 depending on framing options). The standard price includes our Full Exposure Wall System, Plaster and Beam or Beamed Mid-Floor System (same package price), and our Beamed Roof System. The entry porch is our Beamed Porch System, while the screen porch is our Liner Porch System with a flat ceiling.The walkout level (daylight basement) is not included in the above pricing.